I was always skeptical about purchasing a pair of bulky shoes; especially because I have a “larger than average” shoe size :), but I am absolutely in love with this new trend rocking the runways for SS14. Since NYFW, we have been seeing rather interesting trends some of which are come backs from previous seasons, and others that are completely new and rather breath taking. 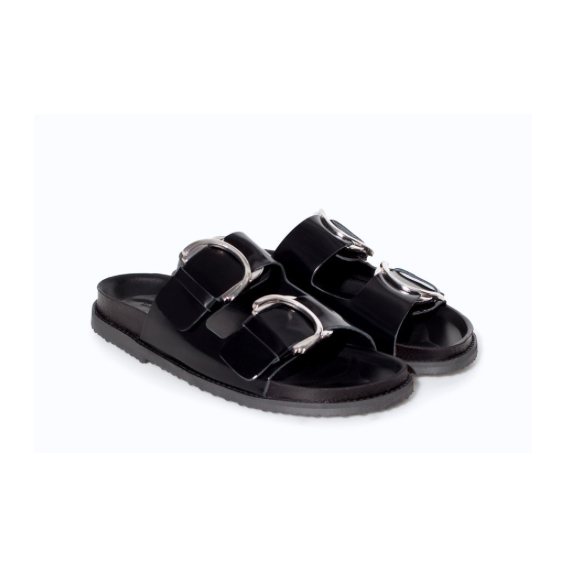 Bulky sandals; I would like to call them Statement Sandals have been adopted by several brands and designers for Spring / Summer. These statements are to be worn most of the time during the day, and since they speak for themselves I would personally pair them up with something rather simple. I would avoid wearing skinny jeans or leggings with a bulky pair of shoes, and would rather pair them up with something that flows and is considerably loose. For whoever thought Berks were out of style and too “tourist-y”, think again! I cannot wait to rock myself a pair!